LORD, now lettest Thou Thy servant depart in peace; according to Thy word: for mine eyes have seen Thy salvation, which Thou hast prepared before the face of all people: to be a light to lighten the gentiles and to be the glory of Thy people Israel (Luke 2:29–32). See, I am sending my messenger to prepare the way before me, and the Lord whom you seek will suddenly come to his temple. The messenger of the covenant in whom you delight-- indeed, he is coming, says the LORD of hosts. 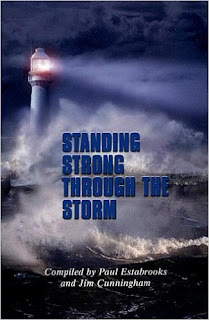 But who can endure the day of his coming, and who can stand when he appears? For he is like a refiner's fire and like fullers' soap; he will sit as a refiner and purifier of silver, and he will purify the descendants of Levi and refine them like gold and silver, until they present offerings to the LORD in righteousness. Then the offering of Judah and Jerusalem will be pleasing to the LORD as in the days of old and as in former years. 6 They will climb from height to height, and the God of gods will reveal himself in Zion. 7 LORD God of hosts, hear my prayer; hearken, O God of Jacob. 8 Behold our defender, O God; and look upon the face of your Anointed. 9 For one day in your courts is better than a thousand in my own room, and to stand at the threshold of the house of my God than to dwell in the tents of the wicked. 11 No good thing will the LORD withhold from those who walk with integrity. 12 O LORD of hosts, happy are they who put their trust in you! When the time came for their purification according to the law of Moses, they brought him up to Jerusalem to present him to the Lord (as it is written in the law of the Lord, "Every firstborn male shall be designated as holy to the Lord"), and they offered a sacrifice according to what is stated in the law of the Lord, "a pair of turtledoves or two young pigeons." Now there was a man in Jerusalem whose name was Simeon; this man was righteous and devout, looking forward to the consolation of Israel, and the Holy Spirit rested on him. It had been revealed to him by the Holy Spirit that he would not see death before he had seen the Lord's Messiah. Guided by the Spirit, Simeon came into the temple; and when the parents brought in the child Jesus, to do for him what was customary under the law, Simeon took him in his arms and praised God, saying, "Master, now you are dismissing your servant in peace, according to your word; for my eyes have seen your salvation, which you have prepared in the presence of all peoples, a light for revelation to the Gentiles and for glory to your people Israel." And the child's father and mother were amazed at what was being said about him. 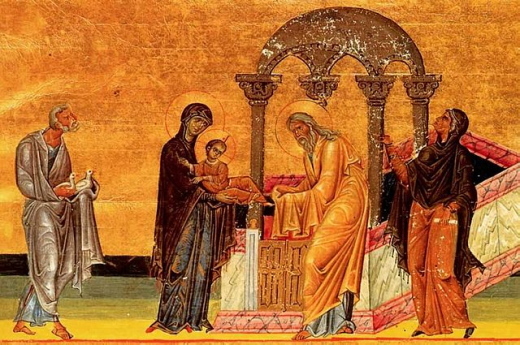 Then Simeon blessed them and said to his mother Mary, "This child is destined for the falling and the rising of many in Israel, and to be a sign that will be opposed so that the inner thoughts of many will be revealed-- and a sword will pierce your own soul too." There was also a prophet, Anna the daughter of Phanuel, of the tribe of Asher. She was of a great age, having lived with her husband seven years after her marriage, then as a widow to the age of eighty-four. She never left the temple but worshiped there with fasting and prayer night and day. At that moment she came, and began to praise God and to speak about the child to all who were looking for the redemption of Jerusalem. When they had finished everything required by the law of the Lord, they returned to Galilee, to their own town of Nazareth. The child grew and became strong, filled with wisdom; and the favor of God was upon him. 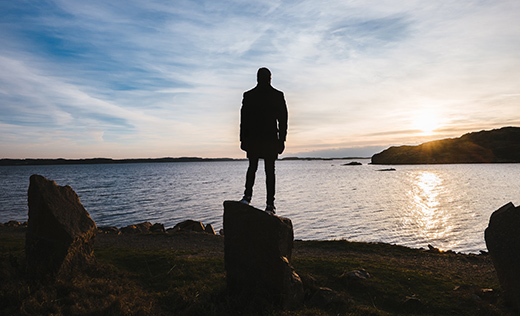 Morning Devotions with Cap'n Kenny - "Marriage and Family: Powered by the Spirit"
I was watching a television interview a while back, and the interviewer asked a pastor, "Don't you think it is time to bring the Bible kicking and screaming into the 21st century?" I wanted to jump through the television screen! I wanted to say, "No sir, it is time to bring culture kicking and screaming back to what the Bible teaches, because that is where the problems are coming from." Either we're going to accept that the Bible is the source of truth on marriage, family, and every other topic, or we're not. You can't pick and choose what parts of the Bible you agree with, or what fits with current culture. If you follow cultural clues, your marriage may be doomed. Instead, you have to come back to the Word of God, and develop a biblical worldview—see things through a scriptural lens. And to have a successful marriage, you must also be filled with the Holy Spirit. You see, we have the power given to us from God to do what He has called us to do. Ephesians 5:18-19 says, "Be filled with the Holy Spirit, singing psalms and hymns and spiritual songs among yourselves." In the Greek, it is implied that it's done over and over again. In other words, be constantly filled with the Holy Spirit—again and again. When you get up every morning you might just say, "Lord, fill me with the Holy Spirit. Help me to be the husband, the wife, the parent you have called me to be." I will be honest with you. There is no way that I can do what the Bible tells me to do without the power of the Holy Spirit. There is no way a husband can love his wife as Christ loves the church without the power of the Spirit. And there is no way a wife can submit to the leadership of her husband without the power of the Spirit. We need this power. Keep asking for this power. And remember, the only authoritative source on any topic is the Word of God. Es muy común que los problemas de la vida nos roben nuestra confianza en Dios. Llegar a un país extraño, la separación por una situación migratoria de tu familia, un divorcio, un hijo en las drogas, una desilusión en tu iglesia, una traición de un amigo… Son tantas y tan comunes las situaciones que te menciono hoy que es muy fácil que tú y yo podamos estar pasando alguna de ellas. Sabemos que no todos tenemos la misma resistencia al dolor ni todos tenemos la misma capacidad para enfrentarnos a la vida. Sabemos que esas situaciones nos pueden aturdir y hasta nos pueden alejar de Dios. Incluso, a menudo culpamos a Dios de lo que nos está pasando y por error podemos tomar decisiones fuera de su voluntad. ¡Qué riesgo es vivir la vida sin tener a Dios de nuestro lado! ¡Qué peligro es desafiar a Dios a que podemos vivir sin Él y hacer nuestra voluntad! Ahora quiero que aprendas algo: Dios es AMOR, Dios es COMPASIVO, Dios es JUSTO y es PADRE. Y al que ama corrige. Por favor, no quieras experimentar la corrección del Padre. Entrega este día toda soberbia, todo orgullo, y ríndete en los brazos del Único que puede cambiar tu situación. 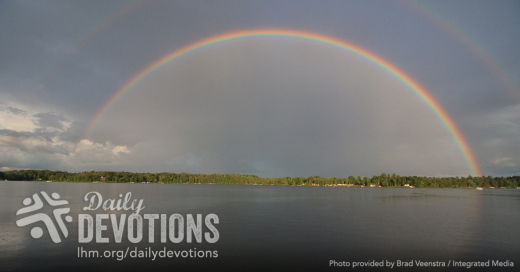 LHM Daily Devotion - "What We Need"
Over the years, it has been my privilege to run into the occasional family whose children seem to have turned out better than all right. Those children may not have all been brilliant, but they were special. They were young men and women of integrity. They didn't go along with the crowd unless they thought the crowd was going in the right direction. I have made it a habit to ask the parents of these children two questions: "What did you do right? What did you do that other parents don't?" Most of the time, not all of the time, but most of the time the parents point to the fact that Christ was part of their family and not just a Name the children heard on Sunday. The other thing these parents agreed on was this: "We were consistent. We said what we meant; we meant what we said." These parents didn't make threats or promises they weren't ready to keep. On the positive side, when they said, "We're going to the movies"; they went to the movies. On the discipline side, they didn't exaggerate or overemphasize a promised punishment. These parents didn't say, "If you don't behave, I'm going to give you a time-out that will last until you are collecting Social Security." From what I've seen, the children who came from such homes respected their parents and grew into being responsible, respectable young men and women. To be honest, the church's job of calling people to the Lord would be easier if the Lord worked the same way. Think about it. Might not people take the Lord more seriously if He immediately punished our sins? Suppose every time you went ten miles over the speed limit, God gave you a flat tire. You'd watch your speedometer more closely. Suppose every time you took His Name in vain, He gave you a toothache. You'd watch what you said. Suppose, every time you coveted something that was your neighbor's, He deducted $100 from your savings account. You'd behave better, wouldn't you? Well, God doesn't always work that way, and because He doesn't many folks disregard Him and feel free to disobey Him. My friends, it is a frightening thing to mistake God's grace for indifference, to confuse His mercy with disinterest, to assume His long-suffering patience is the same thing as apathy. These are dangerous things to do. Far better to give thanks that our Lord is long-suffering and does not immediately punish us for our many sins and multiple iniquities. Far superior to give thanks that His fairness and justice are balanced by His grace and mercy, which have been shown to us in His Son, our Savior. Far wiser to acknowledge that the all-knowing Lord knows what we need, when we need it, and in what proportion His bounties should come. THE PRAYER: Dear Lord. I give thanks that You do what is best for Your people, giving them what they truly need and not necessarily what they want. In Jesus' Name I give thanks. Amen. CPTLN Devocional - ¡Has hallado el bien! "¿Hallaste esposa? ¡Has hallado el bien! ¡Has alcanzado el favor del Señor!" Casi sin excepción, cuando la novia lo leía o escuchaba, se quedaba estupefacta. "'Halla algo bueno'. ¿Qué soy, un juego de llaves perdidas? ¿Desde cuándo soy 'algo'? No soy una cosa, soy una persona, soy una novia. No, de ninguna manera vamos a usar ese texto", decía. Parafraseando el texto de Proverbios... "Quien es hallado por el Salvador ha recibido la gracia del Señor". Our Daily Bread - What’s the Occasion? 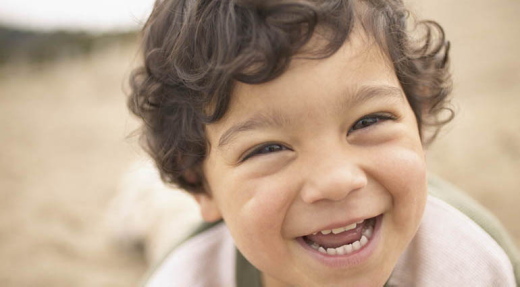 Four-year-old Asher’s gleeful face peeked out from beneath his favorite hooded sweatshirt. His alligator-head hooded sweatshirt, complete with plush jaws that seemed to swallow his head! His mom’s heart sank. She wanted the family to make a good impression as they visited a family they hadn’t seen in a long time. “Of course it is!” Asher protested brightly. “Hmm, and what occasion might that be?” she asked. Asher replied, “You know. Life!” He got to wear the shirt. That joyful boy already grasps the truth of Ecclesiastes 3:12—“There is nothing better for people than to be happy and to do good while they live.” Ecclesiastes can seem depressing and is often misunderstood because it’s written from a human perspective, not God’s. The writer, King Solomon, asked, “What do workers gain from their toil?” (v. 9). Yet throughout the book we catch glimpses of hope. Solomon also wrote: “That each of [us] may eat and drink, and find satisfaction in all [our] toil—this is the gift of God” (v. 13). We serve a God who gives us good things to enjoy. 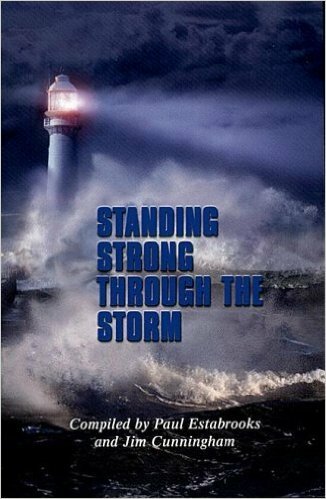 Everything He does “will endure forever” (v. 14). As we acknowledge Him and follow His loving commands, He infuses our lives with purpose, meaning, and joy. Restore to us childlike joy that appreciates Your good gifts. 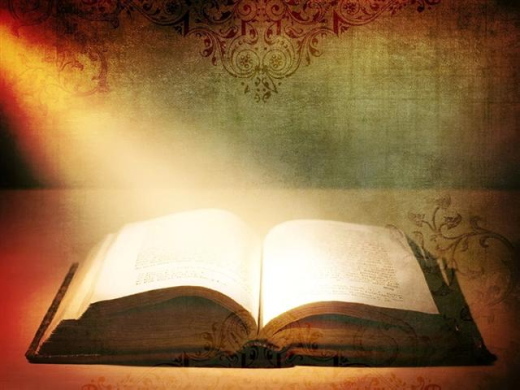 Read more about making God the center of your life at discoveryseries.org/hp152. The Lord who made you wants you to make Him the center of your life. Lời Sống Hằng Ngày - Dịp Nào Nhỉ? Vẻ mặt hân hoan vui sướng của bé Asher bốn tuổi thò ra từ dưới chiếc áo lạnh tay ngắn có mũ trùm đầu yêu thích. Chiếc áo lạnh có chiếc mũ hình đầu cá sấu, cùng với cái hàm toác ngoác bằng vải nhung như muốn nuốt chửng lấy cái đầu của cậu bé! Thấy vậy, mẹ cậu bé thất vọng. Cô muốn cả nhà để lại ấn tượng tốt khi đi thăm một gia đình đã lâu không gặp. “Chắc chắn là hợp mà mẹ!” Cậu bé phản kháng với vẻ mặt tươi rói. “Hmm, nó hợp với dịp nào nhỉ?” Cô hỏi lại. Asher trả lời: “Mẹ ơi, cuộc sống mà!” Cậu bé đòi mặc chiếc áo cho bằng được. Cậu bé vui vẻ ấy đã nắm vững được chân lý của Truyền đạo 3:12: “Vậy, ta nhận ra rằng chẳng có điều gì tốt hơn cho loài người là vui vẻ và làm lành trọn đời mình.” Sách Truyền Đạo dường như sầu não và thường có quan niệm sai trật bởi vì được viết từ quan điểm của con người, chứ không phải của Chúa. Tác giả là vua Sa-lô-môn đã hỏi: “Người làm việc có được ích lợi gì về công lao khó nhọc của mình chăng” (c.9). Tuy vậy, chúng ta có thể tìm thấy những tia hy vọng trong sách này. Sa-lô-môn cũng viết: “Ai nấy hãy ăn, uống và hưởng phước của công lao mình, vì đó cũng là sự ban cho của Đức Chúa Trời” (c.13). Chúng ta phục vụ một Đức Chúa Trời, là Đấng ban cho chúng ta những điều tốt lành để vui hưởng. Mọi điều Ngài làm “còn đến đời đời” (c.14). Khi chúng ta nhận biết Ngài và đi theo những lời răn dạy yêu thương của Ngài, Ngài sẽ truyền mục đích, ý nghĩa và sự thỏa vui vào cuộc sống của chúng ta. Lạy Chúa, xin phục hồi trong chúng con niềm vui như con trẻ, luôn trân trọng những món quà tốt lành Ngài ban. Đấng tạo dựng bạn muốn bạn đặt Ngài làm trung tâm của cuộc đời. Nuestro Pan Diario - ¿Cuál es la ocasión? 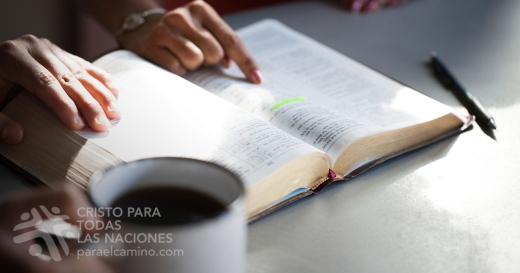 … todo lo que Dios hace será perpetuo… (Eclesiastés 3:14). L a alegre carita del niño de cuatro años asomaba por debajo de su suéter favorito. ¡La capucha con forma de lagarto terminaba en quijadas que parecían tragarle la cabeza! La madre quedó pasmada, ya que quería que su familia causara una buena impresión frente a los amigos que hacía mucho que no veían. «Querido —dijo ella—, no sé si eso es apropiado para esta ocasión». «¡Sí que lo es!», protestó alegremente el niño. Ese niño ya captaba la verdad de Eclesiastés 3:12: «Yo he conocido que no hay para ellos cosa mejor que alegrarse, y hacer bien en su vida». Eclesiastés puede parecer deprimente, y a menudo, es malinterpretado porque se escribió desde la perspectiva de un hombre, no de Dios. El rey Salomón preguntó: «¿Qué provecho tiene el que trabaja…?» (v. 9). Sin embargo, vemos atisbos de esperanza en todo el libro. Además, Salomón escribió: «también […] es don de Dios que todo hombre coma y beba, y goce el bien de toda su labor» (v. 13). Servimos a un Dios que nos da cosas buenas para que las disfrutemos. Todo lo que Él hace «será perpetuo» (v. 14). Cuando obedecemos sus mandatos de amor, el Señor infunde propósito, significado y gozo en nuestra vida. Señor, ayúdame a regocijarme en tus bondades. El Señor que te hizo desea que lo hagas el centro de tu vida. Unser Täglich Brot - Der passende Aufzug? Verschmitzt schaute der 4-Jährige unter der Kapuze seines liebsten Sweatshirts hervor, dem mit der Krokodilkapuze und dem Kiefer aus Plüsch, der aussah, als habe er seinen Kopf verschlungen! Die Mutter war entsetzt. Man wollte Bekannte besuchen, die man lange nicht mehr gesehen hatte, und einen guten Eindruck machen. „Doch, natürlich!“, protestierte der Kleine unbekümmert. „Und wozu soll das passen?“, fragte sie. „Zu allem“, erwiderte ihr Sohn. Der fröhliche Junge hatte begriffen, was schon der Prediger schrieb: „Es [gibt] nichts Besseres als fröhlich sein . . . in seinem Leben“ (3,12). Das Buch Prediger kann deprimierend wirken und wird oft missverstanden, weil es nicht aus göttlicher, sondern aus menschlicher Perspektive geschrieben ist. So meint sein Verfasser, König Salomo: „Man mühe sich ab, wie man will, so hat man keinen Gewinn davon“ (V.9). Und doch leuchtet auch immer wieder Hoffnung hervor: „Ein Mensch, der da isst und trinkt und hat guten Mut bei all seinem Mühen, das ist eine Gabe Gottes“ (V.13). Wir dienen einem Gott, der uns Gutes schenkt, damit wir uns daran freuen. Alles, was er tut, „besteht für ewig“ (V.14). Wenn wir ihm glauben und seinen Befehlen gehorchen, gibt er unserem Leben einen Sinn, ein Ziel und Freude. Herr, schenk uns kindliche Freude, die sich an deinen Gaben freut. Der Herr, der dich gemacht hat, möchte, dass du ihn zum Mittelpunkt deines Lebens machst. Notre Pain Quotidien - Quelle est l’occasion ? Le petit Asher de quatre ans a sorti son visage rayonnant de sous son pull préféré à cagoule en tête d’alligator munie de mâchoires en peluche qui donnait l’impression de lui avaler la tête ! À le voir, sa mère en a eu le coeur serré. Elle désirait faire bonne impression auprès d’une famille à qui ils allaient rendre visite et qu’ils n’avaient plus vue depuis longtemps. « Mais bien sûr que oui ! », de lui répondre un Asher tout joyeux. « Euh, et quelle est l’occasion ? », lui a‑t‑elle demandé, ce à quoi Asher lui a répondu : « Tu sais. La vie ! », ce qui lui a valu de porter son pull. Ce garçon a déjà saisi la vérité d’Ecclésiaste 3.12 : « [Il] n’y a de bonheur pour eux qu’à se réjouir et à se donner du bien‑être pendant leur vie. » Le livre de l’Ecclésiaste peut sembler déprimant et est souvent mal compris, car il a été écrit selon une perspective humaine, et non divine. Son auteur, le roi Salomon, y demande : « Quel avantage celui qui travaille retire‑t‑il de sa peine ? » (V. 9.) Reste que de ce livre émanent des lueurs d’espoir. Salomon a aussi écrit : « [Si] un homme mange et boit et jouit du bien‑être au milieu de tout son travail, c’est là un don de Dieu » (V. 13). Nous servons un Dieu qui nous procure la jouissance de bonnes choses. Tout ce qu’il fait « durera toujours » (V. 14). Si nous tenons compte de lui et que nous suivons ses commandements empreints de bienveillance, il donnera un sens à notre vie et nous apportera la joie. Celui qui vous a créé veut siéger au centre de votre vie. Радісне обличчя чотирьохрічного Ашера вилізло з горловини його улюбленої толстовки з капюшоном. Капюшон мав вигляд крокодилячої голови, і разом із плюшевими щелепами здавалось, що крокодил проковтнув голову малюка! У його матері аж серце впало. Вона так сподівалась справити добре враження на ту сім’ю, яку збирались відвідати, і яку не бачили вже багато років. “О, сонечко, може буде недоречним це вдягати?” – сказала вона. “Ні, буде доречним!” – радісно запротестував малюк. “Ну, і з якого приводу ти натягнув це на себе?” – спитала мати. “З приводу життя”, – швидко відповів синок і повністю вдягнув толстовку. В Книзі Еклезіястова 3:12 написано: “Немає нічого в них кращого, як тільки радіти й робити добро у своєму житті”. Еклезіяст інколи здається занадто депресивним. Він пише з точки зору людини, а не Бога, тому багато хто його не розуміє. Соломон ставить риторичне питання: “Яка користь трудящому в тім, над чим трудиться він?” (Екл. 3:9). Та незважаючи на скептицизм, усю книгу пронизує промінь надії. “І отож, як котрий чоловік їсть та п’є і в усім своїм труді радіє добром, − це дар Божий!” (Екл. 3:13). Ми служимо Богу, Який дарує нам багато приємних речей, щоб ми раділи. І все, що Він дарує нам, “зостанеться навіки” (Екл. 3:14). Господи, віднови в нас просту дитячу радість, щоб завжди бачили й цінували ті дари, що Ти нам даєш. Той, Хто створив нас, бажає, щоб ми зробили Його центром свого життя. Ликующее личико четырехлетнего Эшера выглянуло из его любимой кофты с капюшоном. Капюшон этот был не простой, а в виде головы крокодила. Голова малыша, казалось, находится прямо в пасти за рядом устрашающих зубов. Сердце мамы дрогнуло. Она хотела, чтобы их семья произвела наилучшее впечатление на друзей, с которыми они не виделись долгое время, а у ребенка такой вид, что можно подумать все что угодно! – Малыш, – сказала она, – эта кофта не подходит. – Подходит! – жизнерадостно заявил мальчик. – Для чего она подходит? – расстроенно спросила мама. – Для жизни! – воскликнул Эшер. Этот веселый малыш, несмотря на юный возраст, уловил суть размышлений Екклесиаста: «Нет для [людей] ничего лучшего, как веселиться и делать доброе в жизни своей» (Еккл. 3:12). Эту книгу не всегда правильно понимают, но все дело в том, что она написана с точки зрения человеческой, а не Божьей. Ее автор, царь Соломон, рассуждает о тщетности суеты, спрашивая: «Что пользы работающему от того, над чем он трудится?» (Еккл. 3:9). Однако при этом через всю книгу проходит нить надежды. Соломон также пишет: «Если какой человек ест, и пьет, и видит доброе во всяком труде своем, то это – дар Божий» (Еккл. 3:13). Мы служим Богу, Который дает нам много благ. Все, что Он делает, «пребывает вовек» (Еккл. 3:14). Веря в Него и следуя Его повелениям, мы обретем жизнь, полную смысла и радости. Господь, помоги нам во всех обстоятельствах жизни видеть Тебя. Научи нас по-детски радоваться и благодарить за все Твои дары. Господь, создавший вас, желает находиться в центре вашей жизни.